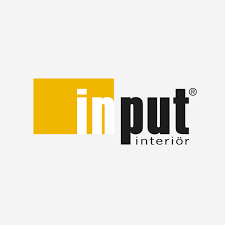 Input interiör is the leading independent interior design company group in Scandinavia with a unique competence in interior design for offices, hotels and restaurants, schools and educational environments as well as hospitals and care facilities. We strive to be the leading company group on the market in interior design based on the clients’ needs and requirements in terms of design, image, functionality, ergonomics and economy. Taking the responsibility for complete interior designs, we make sure that your investment in furniture is an investment into your working environment and customer relations. We’re an all-inclusive supplier and offer everything from planning, purchasing, furniture samples, moving, inventory and disposal of the current furniture to delivery, assembly and follow-up services.